Adolf Hitler is a well-known mass murderer. One assumes that his violent nature ideals about a “pure” race. However, psychological profiles of all mass murderers are not the same. In Hitler’s case, his hands reveal that his murderous nature has less to do with his so-called ideals and more to do with his coarse and brutish temperament. The development of the lower part of his hand as well as his lower phalanges points to the fact that he lived on a low, sensual plane. Such people enjoy physical pleasures above all else, and could also enjoy perversions of different kinds. Additional signs like a reddish lower mount of moon, a developed last phalange of Saturn, the thick first phalange of thumb, and the slightly bent finger of Saturn tell us that Hitler disliked people, and had a mean, and bullying nature, and he was cold at heart. He has a shortish Jupiter (index finger) but it is high set. A link to one of his hand photos is here and here. And the photo on this post is a free photograph. The Mount of Moon on his hand shows an excessive imagination and often such people are mentally troubled and very restless. They enjoy solitude and nature, are sensitive, and in his case, it could be about imagining slights, if one takes into consideration the other signs on his hand. He could perhaps develop fanciful and morbid theories with no bearing on reality, but then this is retrospect because we all know who was. This despite having a practical headline, although it is thin, and with a small island at the end. He has a strong, well etched Saturn or Fate line and at least three of his fingers have pointed tips. 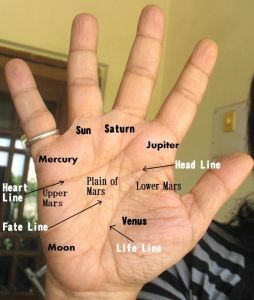 His fingers appear to be straight, except for the Jupiter (index) finger. The coarse nature shown by the hand applies to all aspects of his character and life. It is difficult for such people to appreciate anything elevating like art or literature, and if they do so, it is likely to be a pretence or perhaps some type of double personality. They are fond of eating and drinking but are not necessarily epicures. Hitler’s third phalange of Apollo confirms that he loved to show off and display his status, in a vulgar way. Every personality is driven by a goal or need. In Hitler's case this is very true, he was driven. And power was one of his needs, perhaps to get over some insecurity about himself. The real key to his personality lies in the heavy development of his Mars mounts. This is a not a good sign on a hand such as Hitler’s, particularly when combined with the shape of his will phalange. These people love fighting and are aggressive. There is extreme belligerence. This is not to say that Adolf Hitler’s hand shows a lack of belief in a cause. In fact, a strong belief system is shown, and he would fight for his cause. Evil as such is oddly not evident on his hand, although a coldness is. Coldness and aggression combined can result in evil. Religion is likely to play a part in his belief system. This is probably another reason why Hitler did not channel his extreme and uncontrollable aggression into ordinary crime. He became a soldier and political leader instead. And then committed the crimes. The criminal mentality with ideals always grasps at some ideal to be able to act out. No doubt he struggled with some sort of inferiority complex. He also had a controlling nature, but he was strangely pretty upfront, and blunt. Hitler was not very devious. He was the type who could lay all his cards on the table and in some ways he could even be gullible, often unaware of how people actually perceived him. Self-awareness was low. It is interesting to note that he has several well-marked crosses on his hand. They are perfectly marked, and not part of the main lines. This is usually a very bad sign. 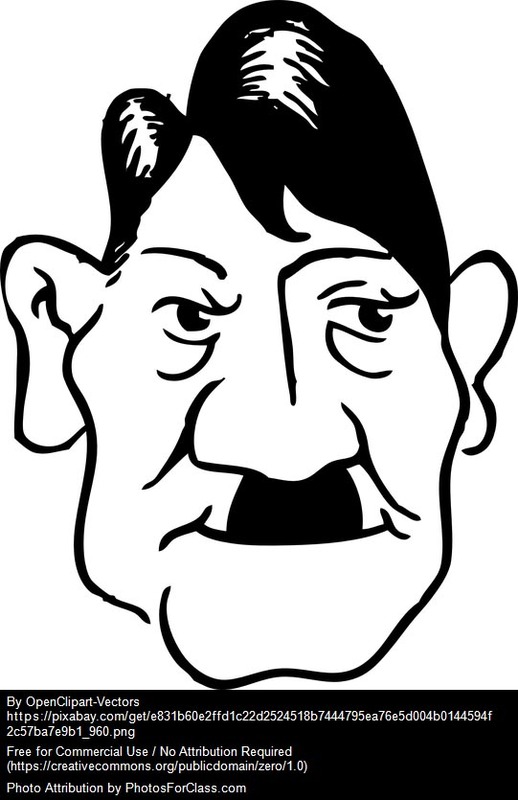 In an earlier post, I had referred to an Indian politician called Bal Thackeray who had likened himself to Hitler. I had said that Thackeray did have something in common with Hitler, but now after reading Hitler's hand, I take those words back. You might also like Kim Jong-il's hand reading or Idi Amin's hand reveals his lack of reasoning powers or the hands of a serial killer, Ted Bundy, or the hand reading of a terrorist. Or African leaders like Muammar Gaddafi or Robert Mugabe or Jacob Zuma. Or check out how Adolf Hitler compares with other Heads of State. Or read about the personalities of other international politicians. and yet in whatever little I have read of his book, he does make sense..and is very observant..
Well, you can't be sure he himself wrote the book. I have my doubts. He must have had help, a lot of help. However his hand does not say that he is stupid or unintelligent. When it comes to his book, I highly doubt that he actually wrote it, although the ideas must be his. He is certainly a man of ideas and imagination and probably, intelligence. The problem lies with his temperament. Very interesting post Nita, it extinguishes this fake idea that has built up around Hitler over the years, that he is some sort of super-intellectual who decided to massacre people. Clearly he is no thinker, and this aura of myth probably comes from the fact that he is the most famous and talked about mass murderer in history. Mass killing have happened very often since then, in Serbia and Rwanda etc. but nobody claims that the generals responsible were intellectuals or even knows their names. purpler, yeah, clearly he is no intellectual, although he could be intelligent. One cannot say unless one looks at his Headline. However he does have a very strong imagination, and this imagination would give him ideas and creativity. However the imagination is extreme and often such extreme imagination leads to mental disturbance. Only people with strong thumbs can control such a strong imagination. Unfortunately Hitler does not have a strong thumb. "Hitler was not human" - that's a no brainer.Such people don't really have ideals - that's a joke when paired with him. I agree that it was his murderous nature that was the driving force behind everything he did.Anthony Hopkins in "Silence of the Lambs" was a saint compared to Hitler whose every act was so sinister that it boggles the imagination. padmini, that's true but there are some people who actually believe that hitler had some sort of intellect and ideals! I agree that any evil serial killer is a saint as compared to Hitler. Nita, after reading this... I have a doubt.. Is there is no way to change one's character... are all their actions depend on the lines of Palms?? It's the other way round Kanagu. The lines, the shape of the hand and fingers, the shape of the mounts, these are dependent on our character. Our character and future is not dependent on the lines. If we change our character our hand changes. Thanks Chiranjib. Don't get too many visitors from my old blog here and I guess thats because the topic is so different. K, one never knows. Hitler would have joined the students union and then gone on to politics. It was either politics or crime. He was too violent a person to have made the arts his profession, even if he had some talent. If you want visitors from Wide Angle View of India to visit here, then you should give the link to this blog on some prominent space there - like below the search box on the right sidebar. Many people might not know that you have this website, otherwise. I have read the first 128 pages of 'Mein Kampf' in English and two more books - 'Rise and Fall of the third reich' and 'Hitler and Stalin'. I have only one comment to make - If he had not killed any Jews in his whole life, today Hitler would have been compared to Napoleon and great rulers and conquerors like that. Wars and conquests were not uncommon when he lived and it was a fact that England was interfering in the internal affairs of all other countries (including the colonies) to keep a check of her power. Unfortunately for him, his guiding principle of 'purity of race' misguided him too much! At least Hitler had a logic when he killed (a particular race, of course that does not absolve him from his crimes in any way) but Stalin and his likes killed their own people (who ever he thought were against him - that was everyone who were not with him!) and in numbers almost equivalent to what Hitler did. In fact, even the British have committed many more crimes in the various colonies they ruled - Somehow, these things don't take the limelight at all! DI, I doubt whether any readers of mine from Wide Angle would be interested in this blog. That is why I have not done that. I have all new readers here and I get emails from them, not so many comments. That is because I guess they may not have such strong views like on current events or topics. I do not know that much about Stalin but I am not sure that he killed as many as Hitler did! Sahil, what I have written is basically personality characteristics from his fingers and shape of hand. If I can get to see high resolution pictures of his hand and lines, plus his fingerprints, I can explain why. Farizia, usually I post a link to the photo but in this post I have not. However after I received your comment I edited the post and added the link to a photo of Hitler's hand. I am sure there are other photos of his hand too but this one I got within a few seconds. Usually I spend at least an hour searching for photos of a famous person because I need more than one to come to any conclusion. You should do Osama Bin Ladin's hands. The net is flooded with his hand pics with lear lines etc. An interesting thing that I found was that his hands reflected a - what one would least expect - a spiritual being ! Most analysis of his hands that I have seen do not corroborate the man and actions as the world knew of him to be... would be great to see your analysis. I have not been able to pics of osama's hands. There are two, which are mirror images of each other. One does not know if that is his right or left hand. Even if I find this out, it is not possible for me to read a hand from just one picture. The shape of the hand and fingers looks different from different angles, and that is why it is necessary to get several pictures of the hand. And if we are talking of the same hand, it appears to be an ordinary person's hand. No evidence of spirituality. This is assuming that the hand is not fake. Unless there are several pictures, one cannot make out if a hand photo is genuine in any case. Same reason why I have not analysed swami vivekananda's hands so far. Only one excellent print, but not sure if it is his hand. And if people are reading his hand from one photo only, a photo which doesn't even show the lines clearly, then I cannot give it credence. The hand can be read from the shape of the hands and fingers (for this you need several pictures of the hand to be accurate) and also the lines (for this you need to see lines clearly) and the fingerprints (for this you need detailed pictures of fingerprints). If people are reading hands without even one of this basic requirements then I can only doubt the credentials of these people. Thanks for the link but while the first one is okay, the others are not. None of the others show the length of the fingers properly. Even the one where he is sitting on his haunches, the angle of the photo shows the fingers in a distorted fashion. In any case, I can see no evidence of any spirituality. From what I can see of his hand, it's that of an ordinary and selfish person. 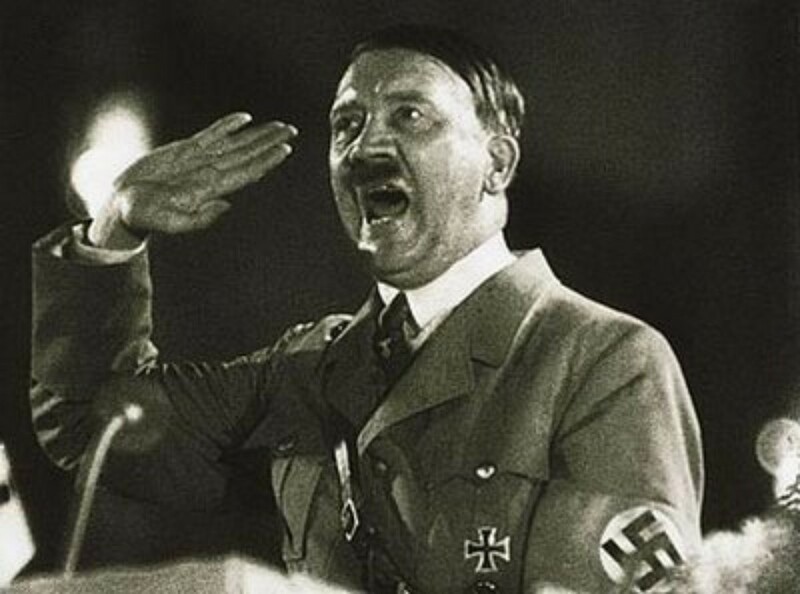 "any evil serial killer is a SaInT as compared to Hitler.."
Please explain this more...why so..? what's like that in his hand that even serial killers don't have? Just curious follower...TIA !! I have not seen any serial killer's hand and therefore cannot answer your question. What I said is my own feeling/opinion, and I thought that was obvious as nowhere in the post have I said that I had compared Hitler's hand to a serial killers. :) Unless I mention I have compared the hands, it cannot be assumed that I have. 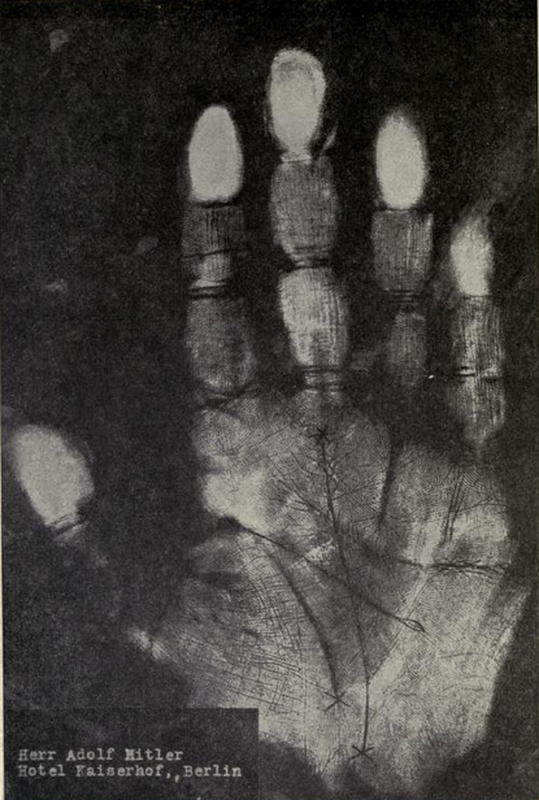 Swami vivekananda's hand is in Cheiro's book of palmistry, an accurate and clear copy of hs palm. I also have a palm print of Hitler taken in Berlin 1937 which shows his unmistakable character and ultimate destruction including a star on the mount of Saturn at the end of his fate line. I will be grateful if you can send me Hitler's palm print! About Vivekananda's I am not convinced it is authentic. I have compared the signature on that palm print in Cheiro's book to Vivekanda's signature and it is not the same. It is not right to read the hand of such a famous personality when in doubt.